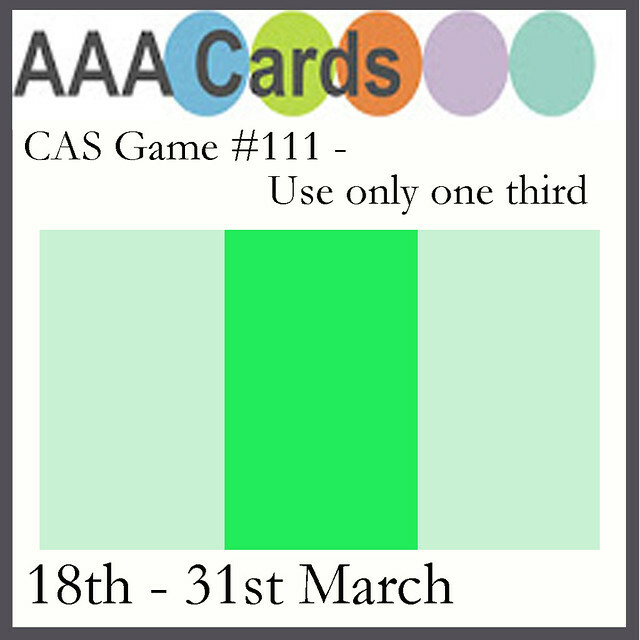 It's Shay here joining in on a very fun challenge over at AAA Cards we are sponsoring called CAS Game #111 - Use Only One Third. So as the image shows, your challenge is to create a clean and simple card using only a third of the real estate on your card. I loved this challenge and tried it myself! Which still leaves me quite a bit for another project (or 2!). I then adhered the strip with really thick dimensional foam adhesive to an A2 white card base. Next I cut out In a Word: Celebrate Cutaway 3 times from white cardstock and glued them all together and adhered them to the strip. I go for "celebrate" a lot because I like that you don't really need a supporting sentiment with it. 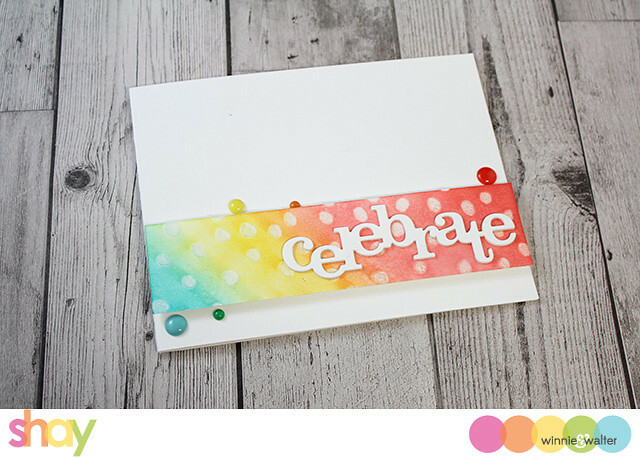 Last, I added enamel dots in colors that corresponded with the strip. Easy peasy! 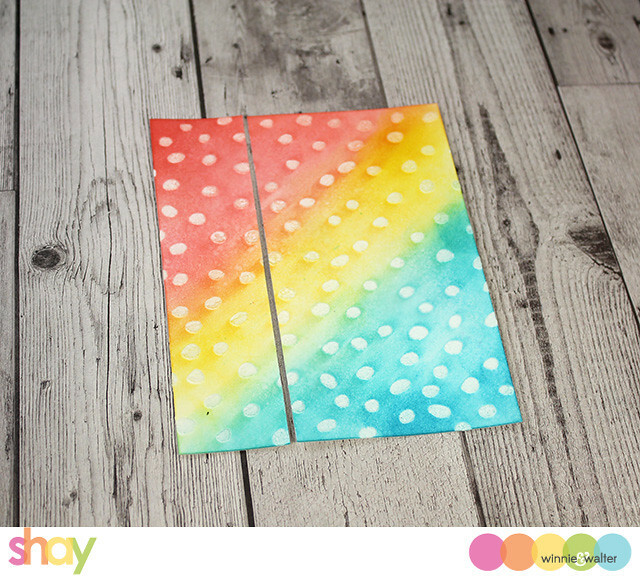 Now it is your turn to try just using only a third to create a card (GO HERE to find how to play along with the challenge). Can't wait to see what marvels you make. Ha ha 1/3 if the real estate , nicely put ! Loved the colourful bg you have created. What a striking card.. and that's a lovely background. I must also try making backgrounds and use them whenever I want.. That'll be such a time saver. 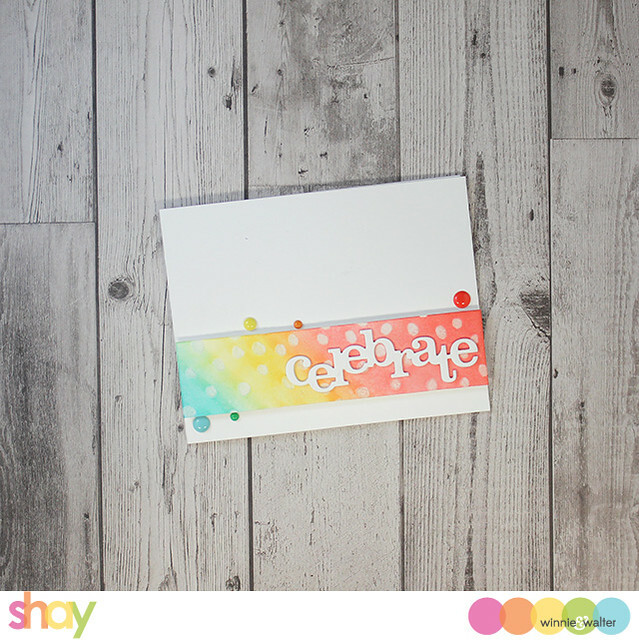 Love the bright colors you used on your card, Shay! I agree with Ishani, I am going to need to start making backgrounds ahead of time too :) Thanks for being a guest designer with us. LOVE your card, Shay! 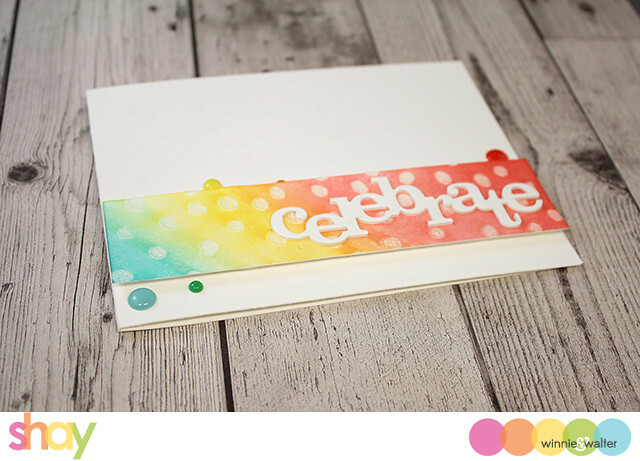 How cool you had just the right color enamel dots, too! Great challenge & how sweet of W&W to sponsor it this time! I'll be entering, for sure! Beautiful card Shay! !I liked this quick background creation idea of yours...it definitely looks super cool!! Lovely CAS card, Shay. Thanks so much for joining and sponsoring our challenge.